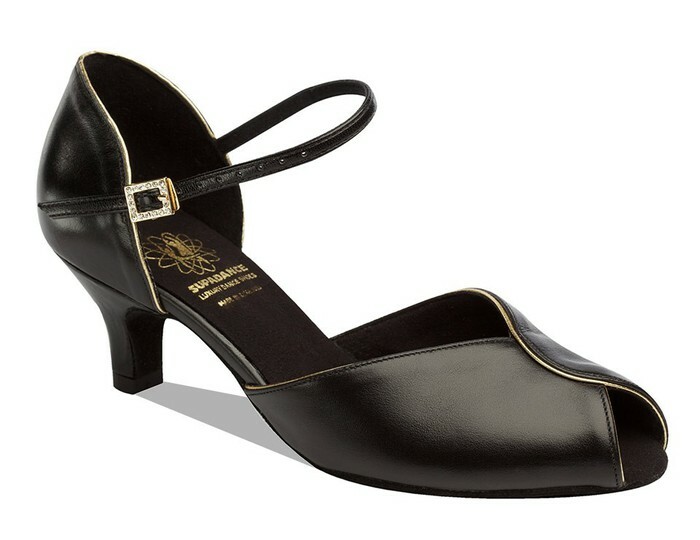 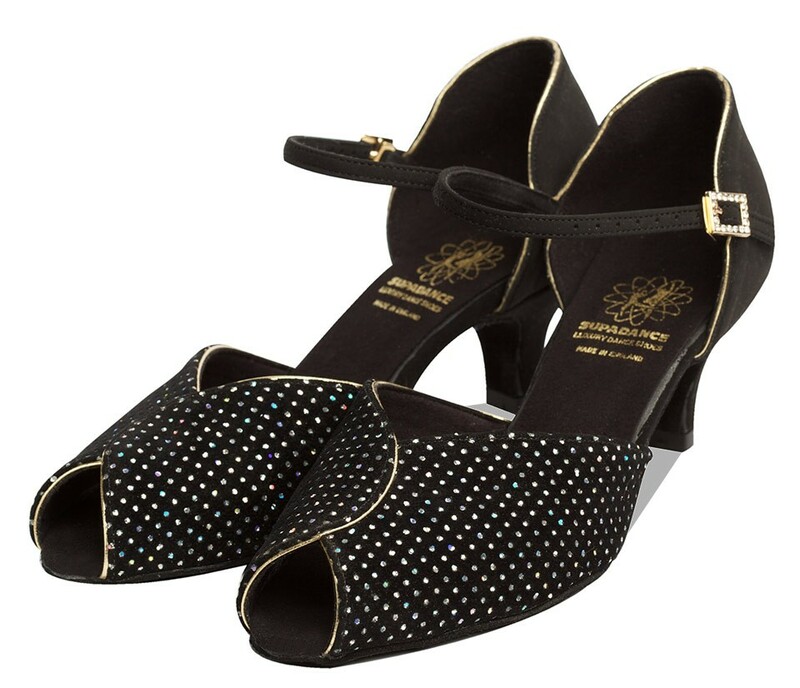 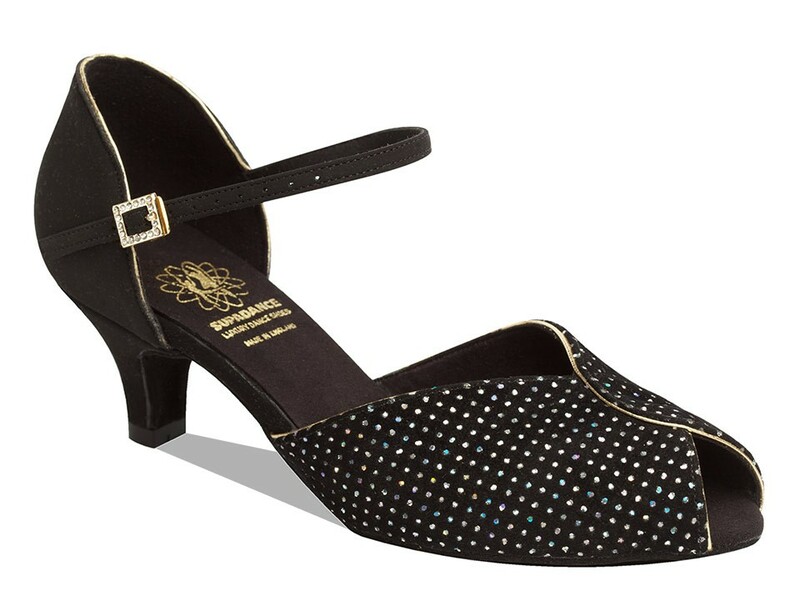 Elegant style perfect for special occasions and social dancing. 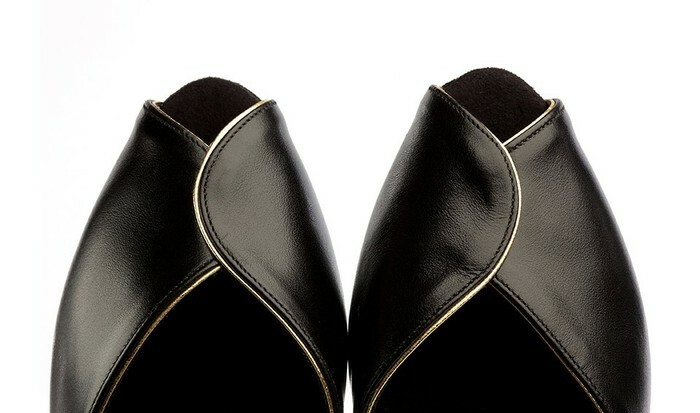 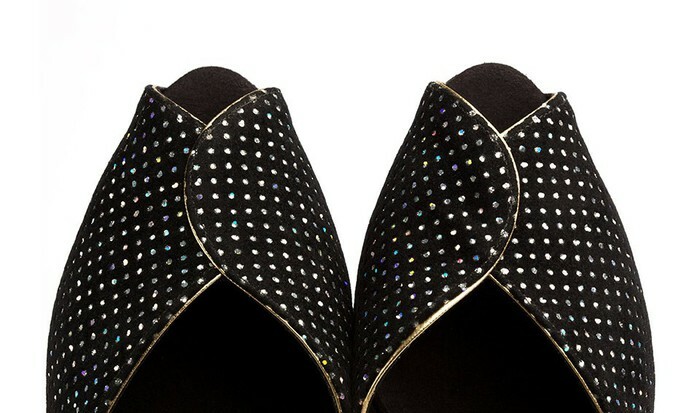 Available in Black Leather/Gold Trim and Star Hologram. Super Flexi Suede Sole with extra cushion.